Remington is a brand known to produce different machines besides trimmers/shavers including shaving kits and electric saws. The Remington PG6025 Grooming Kit comes as a solid grooming kit designed for shaving beards. It sports a great design, enhancing performance and use. While the unit is comparatively expensive, it is offered with 8 attachments, making it well worth its price. This grooming kit was designed for travelers who need a clean and smooth cut while on-the-go. Its convenient case comes in handy when you have to pack the unit for a hike or for abroad travel. Even with a few drawbacks, the unit does not err on its performance; it allows you precision shaving, so, you can achieve the quality you need. This article reviews the Remington PG6025 Grooming Kit in depth. The Remington PG6025 is offered as a full-service grooming kit with all accessories that you need to shave. The lithium powered unit sports an ergonomic design to fit snugly on the hand of a user, for comfortable shaving. You are offered 8 attachments with the purchase of this unit. A full size trimmer comes as one of the attachments to help you tackle a dense beard. The foil shaver is designed to offer a closer and smoother cut when you need strategic shaving. You are also offered a detail, ear and nose trimmer. 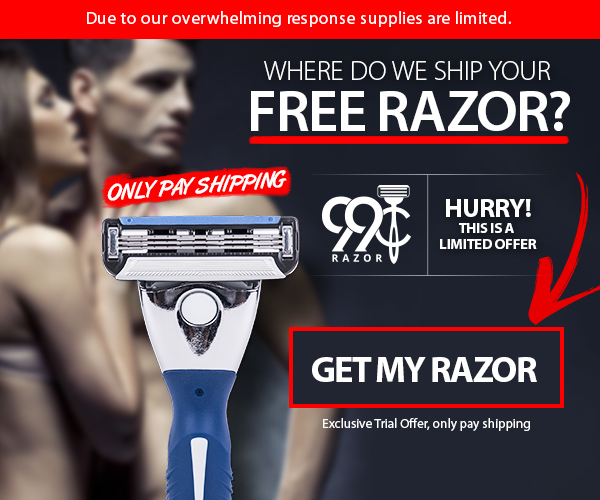 These attachments are designed to let you shave hard to reach areas without pain or struggle. A hair clipper comb with 8 length settings lets you straighten your beard out, for even shaving. This is one of the most used products in this grooming kit. Each of the attachments in the kit are created from high quality materials to enhance their durability. In the kit, you are offered three separate beard and stubble combs designed, with ideal weight, to tame fly-away beard strands. The combs have three different length settings, allowing you to style your beard the way you need. These attachments can be washed with warm soapy water. You can also rinse them on the faucet after use, as the manufacturer recommends. The shaver is fitted with self-sharpening steel blades that last long. You may not need to replace the blades for up to 2 years. 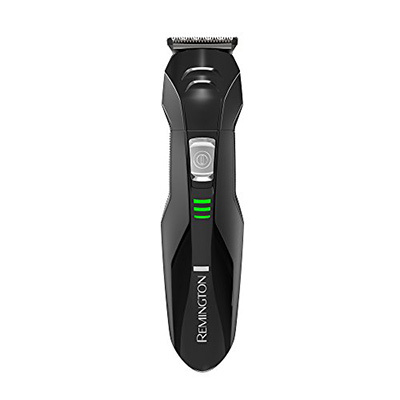 Its lithium power allows 50 minutes of continuous shaving when fully charged. Lastly, you are offered a storage pouch, which comes in handy when you have to travel within the US. High Quality Surgical Steel Blades: The self-sharpening blades fitted in each cutting edge ensure that you have less maintenance tasks. These blades are extremely sharp to offer you close cuts with only few strokes. Again, the blades are long lasting. Lithium Powered: The lithium battery that powers this unit is long lasting, allowing you up to 65 minutes of cordless shaving. While the battery could have been better, it lasts longer than other units on the market. Balanced Weight: The Remington PG6025 Grooming Kit is not the lightest shaver on the market and neither is it the heaviest. It features a great geometry with balanced weight for comfortable use. This is especially important when you need precision cuts. Offered with 8 attachments: When you need precision cuts, this unit features 8 attachments, which not only make it ideal for every person, but also enhances its performance. Each attachment is designed with durable materials and with a design that allows it to snap into position with ease. A storage pouch accompanies the attachments, ensuring that you carry them with ease. 10 Length Settings: It is easy to achieve precision cuts with this shaving unit thanks to its length settings. This makes it ideal as a professional use. The above are the highlights of the Remington PG6025 Grooming Kit. If you do not fancy the features, you are given 60 days money-back guarantee. Otherwise, you are offered a 2-year limited warranty. Consequent Batteries might not last long: After you have replaced the first battery, the second and third batteries might be short. Not Waterproof: While you can wash the attachments in water on the faucet, you cannot use the shaver in water. This limits its use in the bathroom. Relatively Expensive: The attachments and great design of the unit increase the price of the shaver. If you are on a budget, therefore, this is one shaver to avoid. Heat up fast: A couple of minutes into using the unit, it gets relatively hot, which can have an effect on battery runtime and comfort of shaving. Pro tip: Although these accessories might look like a complete hair grooming set, for the best results follow the tips provided in our comprehensive men’s grooming guide! Users observe that even though this unit is small, it is powerful enough to take care of all your shaving needs. Its compact design and balanced weight make it comfortable to use, especially for those who shave often. You can use the unit when you need to shave a thick beard and you can also use for stray hair. Users observe that you do not need lots of strokes to get a clean shave. Again, the steel blades last 2 years or more. Even with the good features, some users do not like the battery fitted on this unit. According to some, the battery stops charging after sometime and forces them to replace it. However, this was the only main weakness that users noted. While the price of the unit is high, users are happy with the attachments and the adjustability of the unit. Again, its design not only looks great, but also enhances performance. When you know the limits of the machine you are looking for in respect to its price, the Remington PG6025 Grooming Kit will offer you value for money. The unit is offered lightweight, but powerful enough to offer you clean and smooth cuts while ensuring you maintain your shaving style. As long as you use the unit properly and clean the attachments after each use, the unit will last long. 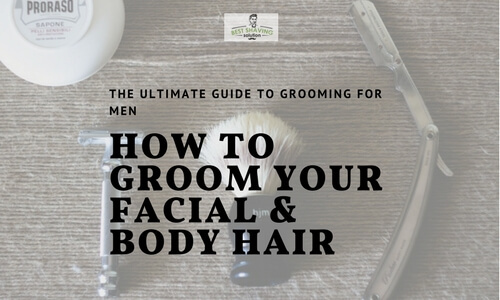 Although its shaving results will vary based on the shaving skills of the user, the Remington PG6025 Grooming Kit is a solid shaving kit worth its price tag. Again Remington is always upgrading their products.